You are not logged in. 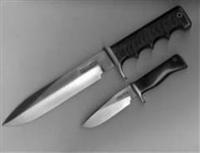 [Log In] Knifetalk Forums » Forums » Randall Knife Talk » Randall Made Knives » Pick-N-Chose...U in? ...and so it shall be! Thanks to all crew members for their input. I'll post numbers upon my return from The Bama Woods! Generated in 0.040 seconds in which 0.022 seconds were spent on a total of 15 queries. Zlib compression enabled.